A gruelling music hall tour of the United Kingdom and Ireland sees Laurel and Hardy play to almost empty back street theatres, with their London producer placing effort and resources into younger talent. With their popularity seemingly dwindling and contracts freezing up, tensions between the two begin to rise which threatens to end the world's greatest comedy act. Steve Coogan and John C. Reilly are Stan Laurel and Oliver Hardy in these award-nominated performances, with Nina Arianda, Shirley Henderson, Danny Huston and Rufus Jones rounding out the supporting cast. If your exact reaction to Stan & Ollie isn't "aw, how lovely! ", then you are doing something very wrong, my friend. A heartwarming, extremely pleasant trip to the cinema lies in store for those who enter this cinematic time machine: an endearing exploration of the friendship and legacy of two of the greats make this a real crowd-pleasing feature. Accessible even to those unfamiliar or disinterested in the pair, Stan & Ollie will satisfy old and young alike. It's very hard to resist. Truth told, the actors are Stan & Ollie's bread and butter. Coogan and Reilly rarely but a foot wrong. Building fantastic chemistry so crucial to the film's success, they register performances more than simple, glorified impressions and dig deeper into the characters and their relationship. Coogan brings real heart to his portrayal of Laurel, bearing the weight of some regretful decisions with tremendous, surprising nuance; Reilly carries a different type of weight and, aided by the fat suit, submerges himself in the role of Hardy impressively. They both emulate voice and stance with confidence and recreate the pratfalls with perfect comedic timing, making the various recreations a clear highlight. But, while they are both terrific, another double act threatens to steal the entire show: Nina Arianda and Shirley Henderson are utterly fantastic as Ida Kitaeva Laurel and Lucille Hardy. As the bickering wives who win some of the biggest laughs, their acerbic dynamic is a joy to witness. Filled with some fantastic one-liners, the two bounce off each other marvellously and I, for one, would be down for a spin-off film anytime the pair wanted to unite again. It's both a help and hinderance how light-footed Stan & Ollie is. Perfectly enjoyable, light entertainment, it does nothing wrong per se -- but it doesn't leave too much of an impact a few days removed either. 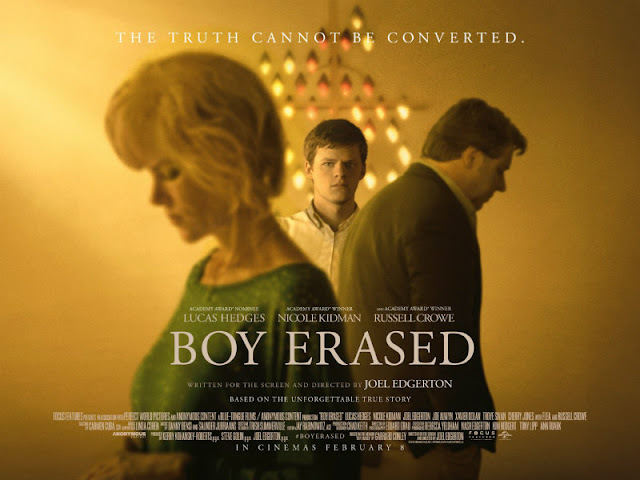 It's a very simple, gentle film, sticking to a rather rigid structure and a formula it seldom diverts from. Baird's direction is serviceable and, again, the film shines when they're recreating iconic scenes from the duo's catalogue - but there's little flair beyond the basics. Likewise, the screenplay gets the job done but is far from exemplary. We've seen these character arcs countless times before, covering thematic ground you know like the back of your hand; 'it's a true story!' you may argue, but this is where the writing team or director could have flexed some creative freedom. 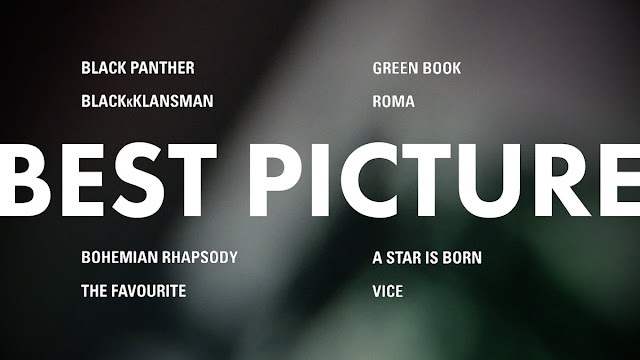 It's when the writers are exploring legacy that the film thrives, more so than the more commonplace friendship struggles and in-fighting that becomes rather twee in the grand scheme of things. There's nothing wrong with a 'safe' script -- but it prevents the material here from being elevated any. If it wasn't for such fantastic performance, I wouldn't hesitate in calling it forgettable. But Stan & Ollie boasts fantastic cast performances and captures the nostaglic, old-school magic of Laurel & Hardy's material effectively. With heartwarming laughs that are bound to leave you beaming interlaced with a great deal of heart, it may even move a few of you to tears and the film stays nicely-balanced throughout. Though entirely unchallenging - it's fair to say that it disappeared from my recollection rather quickly - it is sweet enough and accessible enough for a Sunday afternoon matinee with the family. 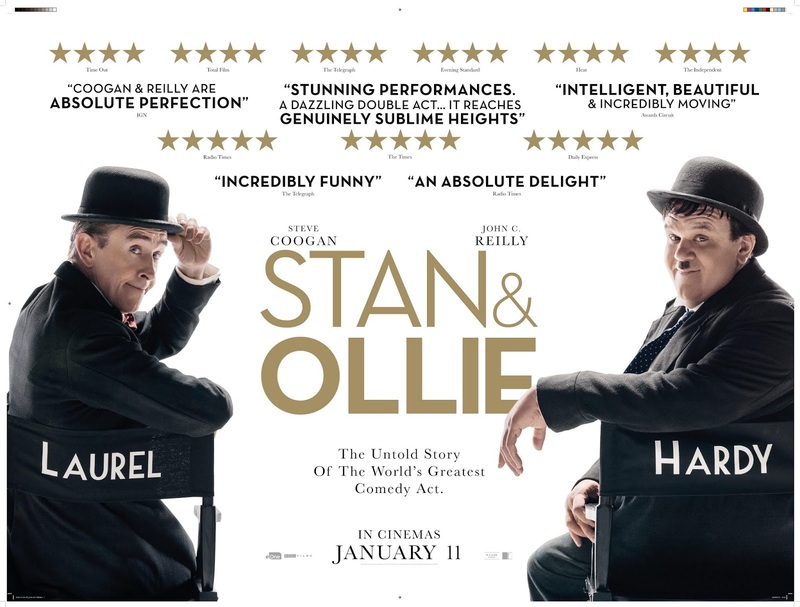 Summary: Coogan and Reilly bring their very best to Stan & Ollie, committing to the iconic duo and are well-supported by terrific turns from Arianda and Henderson. It is a lovely, pleasantly nostalgic film -- but sometimes you want more than that.